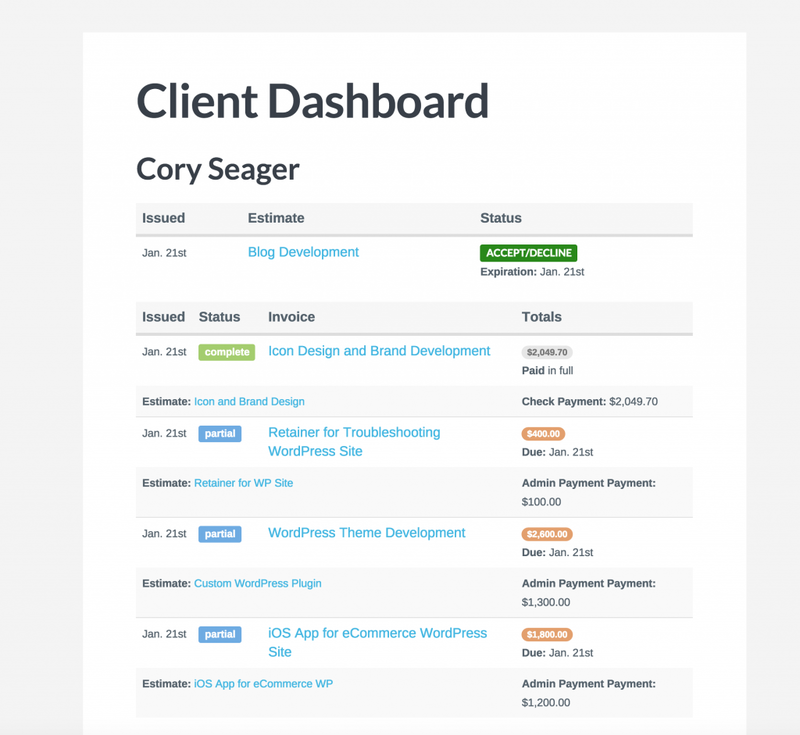 The Client Dashboard is a way for your clients to view pending estimates, view invoice and payment history, and easily see what payments are pending and when they're due. 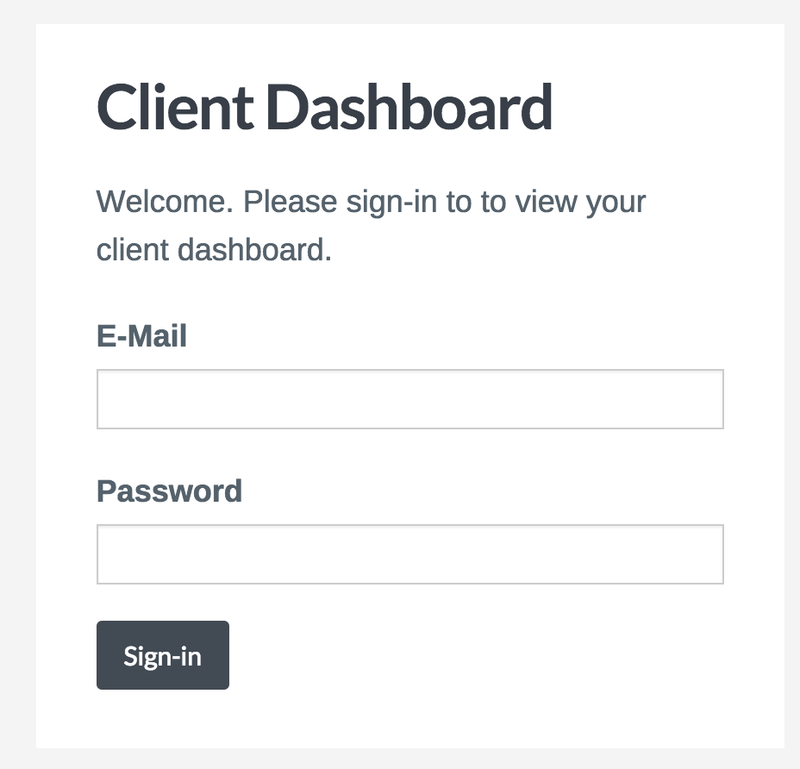 1) Clients will be greeted with a sign-in form (if they are not already logged in) before they’re able to view the client dashboard page. The password that the client will use is the password associated with their individual WordPress user account. Note: All clients should have a WordPress user(s) associated with them. These users are assigned the Client role. Read more about this here. Since clients (or to be more precise, the users) cannot set their password via the dashboard, we’ve included a new notification that’s sent when a new client user is created. However, this notification is disabled by default. This is because we suggest you use the private dashboard link instead. 2) Each client user has a private dashboard URL assigned to them. This private URL will allow for your client to easily view their dashboard without going through a login process. It is very similar to how private URLs work for estimates and invoices: the URL cannot be found by search engines and is only accessible through the link. The dashboard link can be sent to your clients with this shortcode. This link will need to be added since it will not be added automatically. 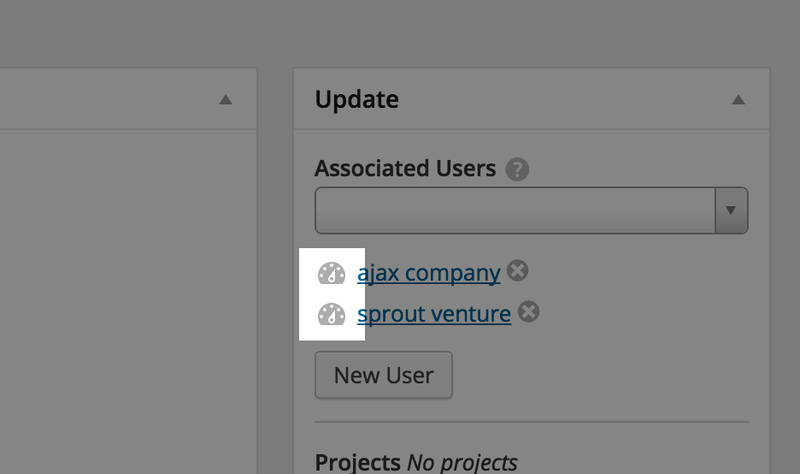 The dashboard link can be found on the client admin page next to the user. See the screenshot below for a detailed location.